Just a short drive from Tampa & St. Petersburg, located is the Indian Rocks Beach which is a lovely beach town that provides 3 miles of fun beach access with beautiful sunset scenes. The relaxed & laid-back ambiance is just ideal for those people who simply like to take things easy & relish the sights. 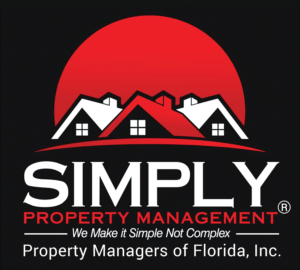 If you are looking for someone who can handle the everyday operation of your Indian Rocks Beach property, Simply Property Management is here to help. We are a licensed & full-service Indian Rocks Beach property management company in Florida that is competent in managing every aspect of residential properties in this area. We are educated, experienced, equipped and trained to give you one-stop property management solutions that includes but not limited to leasing your investment property, capturing & screening potential renters, preventative maintenance, and even put your property for sale when you want. Our extensive experience in Indian Rocks Beach property management will give your real estate investment a great start. We develop personal bonding with our esteemed clients, our renters and vendors, and try our best to offer the help that you wish & deserve. Through emails, phone calls and monthly statement, we do much more than simply rent collection. We deliver a full-range of property management solutions that are customized to fulfill our clients’ real-estate investment objectives. We serve to residential landlords and also those with investment properties or a vacation property. When you hire our Indian Rocks Beach property management service we will start the process with a personalized marketing strategy to help you accomplish your real-estate investment goals. Our present list of managed properties encompasses condos, single homes, multifamily homes and apartment buildings. Whether you are a veteran investor or have a wish for investing in income properties, rest assured that you will benefit from our property management service. With our dedicated advertising & management tactics, which are personalized to each customer’s investment objectives; our extensive history of property management has confirmed that we’re capable of minimizing the time involvement of each client while maximizing their investment earning. Get in touch with our property managers today to learn how your Indian Rocks Beach property can give you a decent earning every month. For any inquiry or help, we are available at 813 279-6544.